The Hill is a historic and colorful neighborhood located atop Deer and Hanover Streets in downtown Portsmouth. 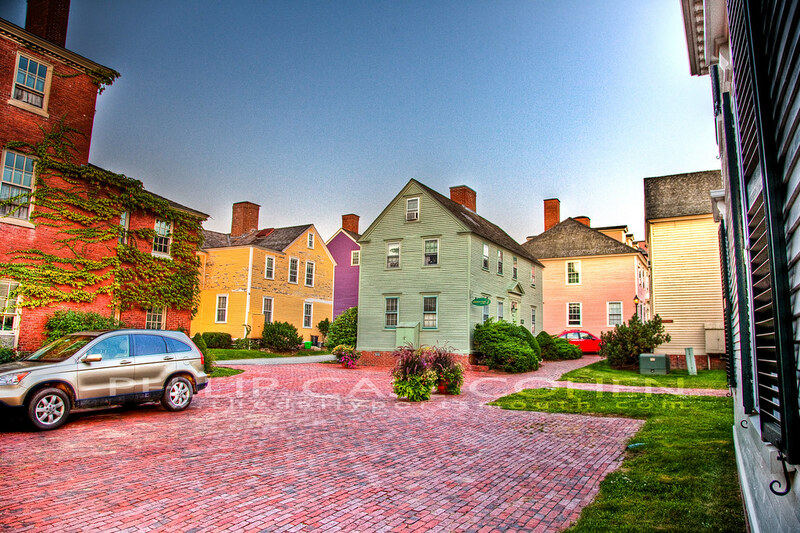 It’s filled with beautifully colored homes from around the city, in the city’s Norther Tier. This area is set for some interesting changes over the next five years, with the progression of the Portwalk Place project and the potential future of the Westin Conference Center. I like this shot with the sense of space it conveys and the clarity of the clapboards. 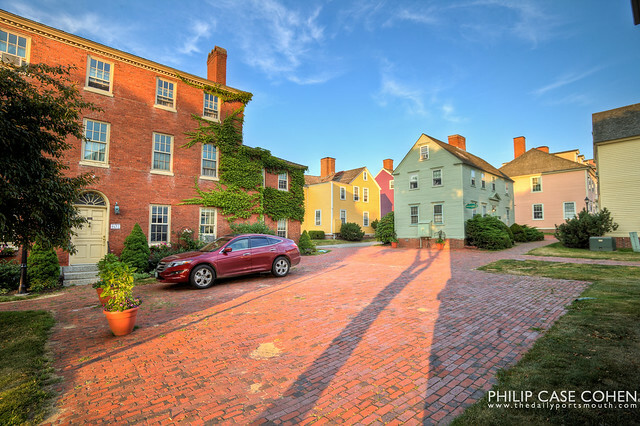 As I wrote the other day in a recent post – a neighborhood known as The Hill is located at the crest of the hill between Deer Street and Hanover Street. I’ve always loved the rich colors of the bricks and the historic homes…which always go quite nicely with a bright blue sky. The Hill represents some of the only original residential architecture left in this section of town, and many of the homes were actually transported to this spot as part of the urban renewal efforts in the 60s/70s from other locations throughout the North End as part of the Vaughan Street Urban Renewal Project (photos of the documented urban renewal process can be viewed at The Athenaeum Library). 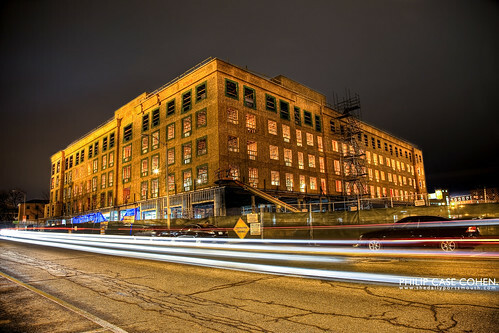 Portwalk Place continues to rise out of the historic ground in the north end of Portsmouth, sandwiched in between Hanover Street and Deer Street. Here you can see the plywood framing of the soon-to-be Residence Inn in Phase I of the redevelopment of the old Parade Mall. For older progress pictures, see the vacant lot HERE and the steel frame HERE. 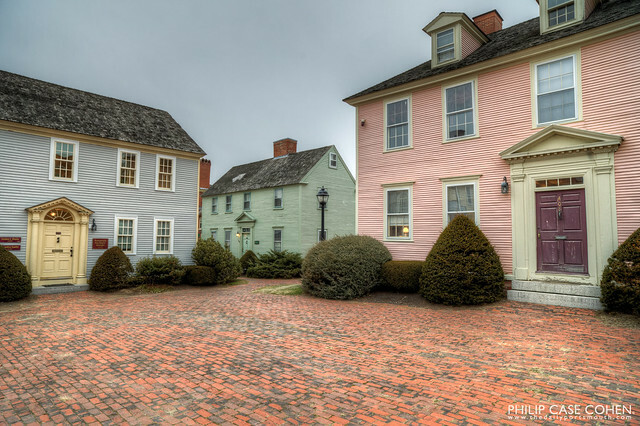 Here’s another glimpse of the historic homes in Portsmouth’s North End known simply as “The Hill”. Another take on the old structures can be found here: Norther Tier; or here: FLICKR.